When watching videos on YouTube or other online video sites, it’s really annoying to found that we can not download those videos we like for offline use. There is no link or button telling us you can download videos here. Then you may start to find a way that enables you to save online videos to your iPhone, iPad or computer. And if you have not got one free and easy method after many search on Google, then you have find the right place to get what you want. Here in this guide I will show you how to use AnyTrans to Freely download videos from YouTube, Dailymotion, Vine and other 900+ online video sites to your iPhone and iPad. Support to download most commonly used video formats like MP4, MOV, AVI, MKV, etc. Step 1. Install and launch AnyTrans, then connect your iPhone or iPad with the software, click the “Video Download” button after your iPhone/iPad has been recognized by AnyTrans. Step 2. Copy the URL of desired videos to the downloading blank and choose the place where you want to store videos to, then click “Download” button to start. Step 3. Click the button at the top right corner to check the downloading list. The “Refresh” button is used to re-download those failed one, while clicking the “Trash” button can delete target video. Click the “Clean List” button, all those downloaded videos and failed one will be removed, but this won’t remove the videos that are under downloading. 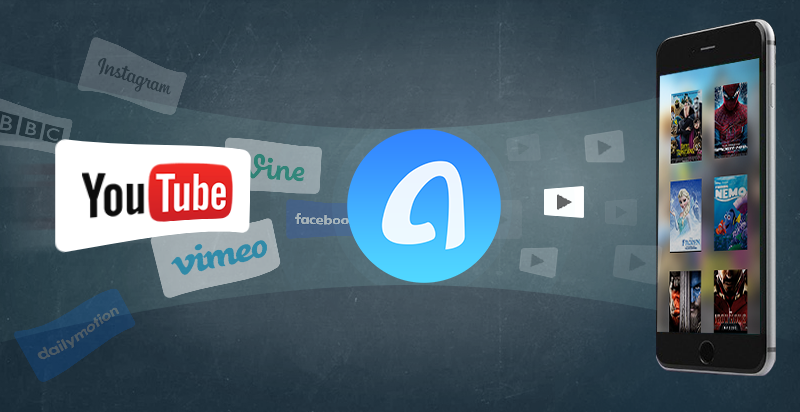 As a free but useful video downloader, AnyTrans is able to download videos from most popular online video sites like YouTube, Dailymotion, Vine, Vimeo, etc. and almost all video formats like MP4, AVI, MOV, etc. are supported to be downloaded. There may be another software as powerful as Anytrans in the market, but it’s hard to find second free one as the “Video Download” feature of AnyTrans is totally free. That’s why AnyTrans worth your try.